Today’s consumer has higher expectations and restaurants have had to adapt to their new tastes and needs or they are being left behind. Not to mention, there are innovative brands are elevating the industry by serving superior food product, while also connecting with the guests on a community level. These concepts are increasing in foot traffic, while several of the long-standing chains are losing customers. Applebee’s and Chili’s may be struggling in this market, especially with millennials, but they are still popular restaurants open and operating. They may be failing in investors eyes, but they have yet to closed. “Cheat Sheet” has outlined some of the past failed restaurant chains that no one seems to miss. Let’s take a look at some of the chains on the list. These restaurants were notoriously right off the highway. There were once 870 locations, but its final store in Lake George, New York in 2017 after the owner was charged for sexual harassment from 14 former employees. The problem was that the chain’s menu wasn’t remarkable and didn’t differentiate itself, so it could not compete with other diner-like chains. This was one of the first Mexican chains and was popular in the 1970s and 1980s. 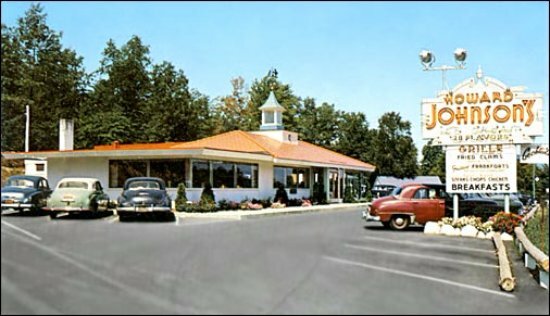 The restaurants were known for serving massive portions. It was so successful that several operators copied the concept with their own Mexican restaurants. But, this concept had a food safety crisis long before Chipotle. Chi Chi's is no longer open in the U.S., but is operating in Belgium, Luxembourg, the United Arab Emirates, and Kuwait.